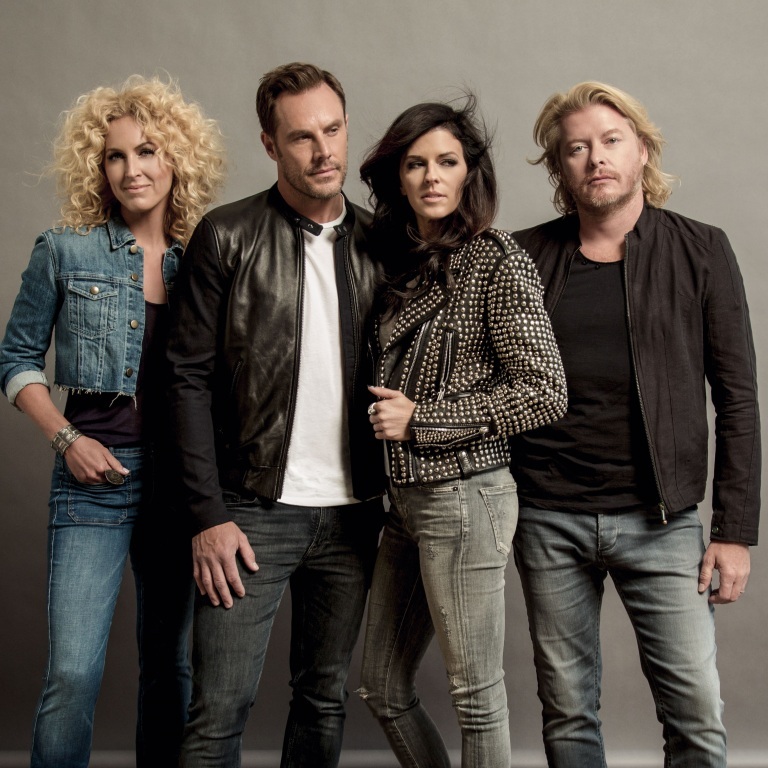 LITTLE BIG TOWN PICKS UP ON SUPPORT FROM THEIR PEERS. Little Big Town went home with the trophy for Vocal Group of the Year at Sunday night’s ACM Awards. The group performed their latest hit, “Girl Crush,” which has drawn the support of the music industry at large. “Girl Crush,” from their ACM-Award nominated album, Pain Killer, is making its way up the country charts and is selling like hotcakes. Little Big Town has sold more than 95,000 just this week – 30,000 during the ACM Awards alone. The single should be close to being certified Gold. 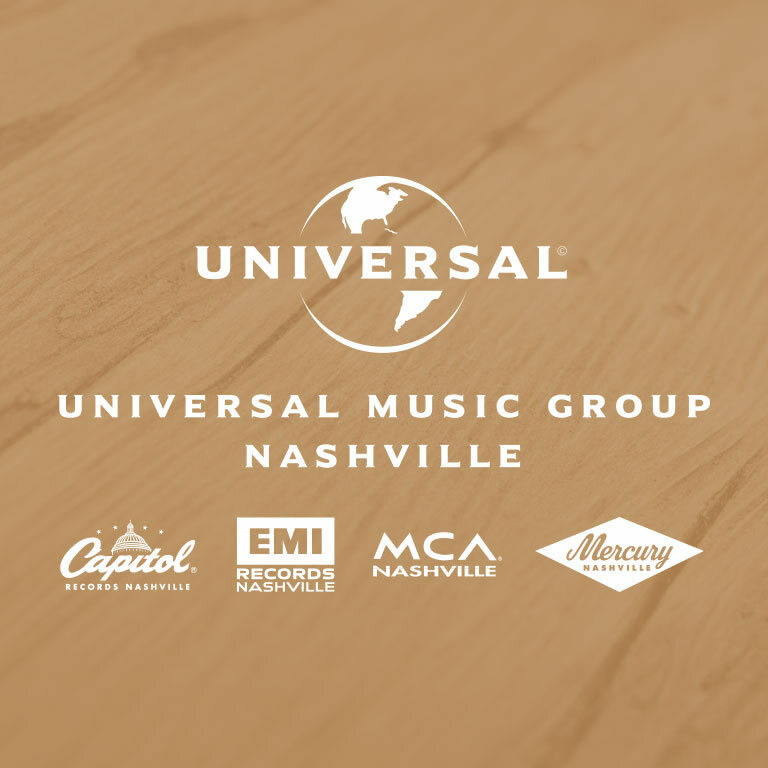 Audio / Little Big Town’s Phillip Sweet and Karen Fairchild talk about having the support of their peers in the music industry. LITTLE BIG TOWN’S KIMBERLY SCHLAPMAN RELEASES HER FIRST COOKBOOK, OH GUSSIE! NASHVILLE, TN (April 14, 2015) – Kimberly Schlapman, member of GRAMMY winning country group, Little Big Town, has released her first cookbook, Oh Gussie!, which is available today online and at book retailers everywhere. Oh Gussie! Cooking and Visiting in Kimberly’s Southern Kitchen (William Morrow Cookbooks) was written with James Beard Award-winner author Martha Foose, and features a collection of some of Kimberly’s most treasured family recipes, updates on Southern classics, and quick dinners for modern families on the go. In Oh Gussie! Kimberly also shares delicious recipes and soul-stirring stories from her roots growing up in the Appalachian foothills of north Georgia, her travels on tour with Little Big Town, and the life she loves back home in Nashville. Martha Hall Foose is the author of Screen Doors & Sweet Tea, a best-selling homage to classic Southern cooking that won the James Beard Award for American Cooking and the Southern Independent Booksellers Award in 2009. In 2011 she released A Southerly Course: Recipes and Stories from Close to Home. Martha won the Literary Death Match at the Texas Book Festival that same year. Martha makes her home on Pluto Plantation in the Mississippi Delta with her husband and son. Audio / Little Big Town's Kimberly Schlapman explains what she hopes happens with her first cookbook. LITTLE BIG TOWN’S ACM-NOMINATED ALBUM, PAIN KILLER, WAS MADE TO STAND THE TEST OF TIME. 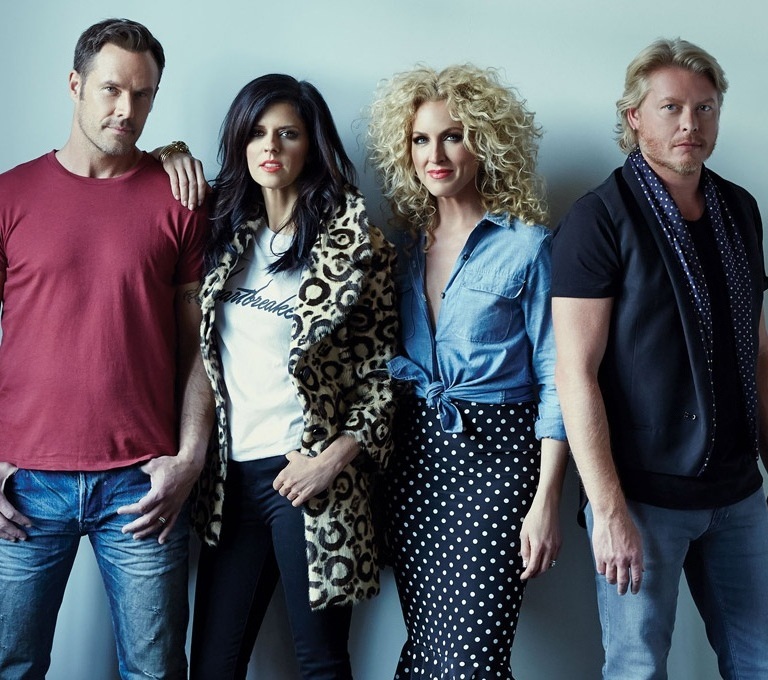 Little Big Town won the ACM Vocal Group of the Year award in 2013, and they’re back in the running with that nomination, as well as a nod for Album of the Year for Pain Killer. The members of Little Big Town are making their way up the country charts with “Girl Crush,” a song from their ACM-nominated album, Pain Killer. Audio / Little Big Town’s Phillip Sweet talks about his hopes for Pain Killer. Little Big Town has released the beautiful and stark music video for their latest hit, “Girl Crush.” Check it out here or below. LITTLE BIG TOWN IS FEATURED ON CMT’S HOT 20 COUNTDOWN. CMT Hot 20 Countdown captured “A Day In The Life” with Little Big Town on the road with their Pain Killer Tour. They check them out on stage and backstage in “The Pharmacy,” as well as goofing off right before they’re set to perform. Little Big Town’s latest single, “Girl Crush,” is climbing the country charts, and the support it’s received from fans, radio and other country stars is overwhelming. The group wanted “Girl Crush” for themselves the first time they heard it, because they felt it was such a special song. Little Big Town will perform during this year’s ACM Awards where they’re up for Vocal Group and Album of the Year for Pain Killer. The 50th Annual ACM Awards will air live from AT&T Stadium in Arlington, Texas April 19th at 8pm ET on CBS. Audio / Little Big Town’s Jimi Westbrook talks about “Girl Crush,” a song from their album, Pain Killer. ALAN JACKSON, LADY ANTEBELLUM AND LITTLE BIG TOWN ADDED TO LIST OF PERFORMERS AT THIS YEAR’S ACM AWARDS. Alan Jackson, Lady Antebellum and Little Big Town have been announced as performers at this year’s ACM Awards. They’re joined by Brad Paisley, Brooks & Dunn, Rascal Flatts and Martina McBride, as well as special duets by Christina Aguilera with surprise artists and Nick Jonas with Dan + Shay. They join previously announced performers Dierks Bentley, Luke Bryan, Eric Church, Sam Hunt, George Strait, Keith Urban, Reba, Garth Brooks, Jason Aldean, Blake Shelton, Miranda Lambert, Florida Georgia Line, Cole Swindell and Thomas Rhett. The 50th Annual Academy of Country Music Awards – hosted by Luke Bryan and Blake Shelton – will air live from the AT&T Stadium in Arlington, Texas April 19th at 8pm ET on CBS. LITTLE BIG TOWN IS FRONT AND CENTER WITH NEW CMA SONGWRITERS SERIES. March 30, 2015- The critically acclaimed music series Front and Center will kick-off its new season with four all-new Country Music Association CMA Songwriters Series episodes with Hunter Hayes; Bob DiPiero featuring Brandy Clark; Sara Evans and Martina McBride; and Little Big Town. The episodes, which will begin airing April 4th on public television, collectively feature guest appearances from some of Nashville’s best-known songwriters including Barry Dean, Natalie Hemby, Hillary Lindsey, Aimee Mayo, Shane McAnally, Lori McKenna, Gretchen Peters, Liz Rose, Gordie Sampson, The Warren Brothers, and songwriting artist Charlie Worsham. Check local listings for airdates and times in each market and for a sneak peek at the new season click here. CMA-Award-winning multi-instrumentalist Hunter Hayes performs with fellow songwriters Barry Dean (“Pontoon” – Little Big Town), Lori McKenna (“I’m Workin’”- Tim McGraw), and Gordie Sampson (“Just A Dream” – Carrie Underwood). The episode features Hayes and his guests performing songs from his chart-topping album Storyline and features the hit “Invisible,” as well songs from his No.1, self-titled, Platinum-selling debut album. Bob DiPiero, a member of the Songwriters Hall of Fame and co-creator of the CMA Songwriters Series, is joined by reigning CMA Award winner for CMA Song of the Year and two-time 2015 Grammy Award-nominee Brandy Clark along with her partner on the 2014 CMA Song of the Year win, Shane McAnally, and recording artist Charlie Worsham. The foursome takes turns performing songs they helped pen including hits like “Follow Your Arrow” (recorded by Kacey Musgraves), “Blue Clear Sky” (recorded by George Strait), and “Gone” (recorded by Montgomery Gentry). Finally, Grammy Award winners and three-time CMA Vocal Group of the Year Little Big Town bring out long-time songwriting collaborators and friends, Hillary Lindsey (“Jesus Take The Wheel” – Carrie Underwood), Natalie Hemby (“Downtown” – Lady Antebellum), Liz Rose (“Teardrops On My Guitar” – Taylor Swift), and McKenna. The recent Grand Ole Opry inductees perform some of their best-loved hits including “Boondocks” and “Tornado” as well as songs from their latest album Pain Killer. For more information on the Front and Center music series please visit frontandcenter.com and check out the YouTube page at youtube.com/frontandcentertv. For more information on the CMA Songwriters Series visit CMAsongwritersseries.com. Front and Center is a production of Front and Center Entertainment, LLC in association with WLIW21 for WNET, and distributed by American Public Television. All episodes are directed by Pierre and François Lamoureux of FogoLabs. LITTLE BIG TOWN PERFORMS ‘GIRL CRUSH’ ON TONIGHT SHOW. Little Big Town performs their latest single, “Girl Crush,” on NBC’s Tonight Show Starring Jimmy Fallon on Tuesday night (March 24th). Little Big Town is scheduled to perform on NBC’s The Tonight Show Starring Jimmy Fallon Tuesday (March 24th). Elizabeth Banks (Pitch Perfect, The Hunger Games series) and Ronda Rousey (UFC fighter, actress) will also appear as interview guests. Dierks Bentley will join Nashville stars Connie Britton, Lennon and Maisy Stella and Charles Esten, along with Amy Grant at the Nashville for Africa benefit concert on Sunday (March 29th). All funds raised from this 30th anniversary show of the African Children’s Choir, will go to the Choir and their education programs. Canaan Smith promised fans if he reached 25,000 followers on Instagram, he’d get “a swirly,” which means he’d allow his bandmember, Kenny, to put his head in a toilet and flush swirling toilet water around his head. He hit the goal and made good on his promise. Check it out here.